Can America's public schools, long resistant to change, meet the challenges of globalization and new educational alternatives? Not by doing what they're doing today. 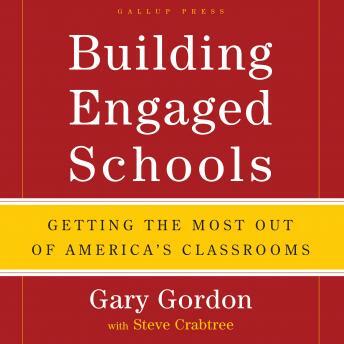 So argues Building Engaged Schools, a book that challenges the faulty assumptions that guide American public education. In our efforts to create the best possible schools for America's kids, we've allowed process concerns such as standards, curriculum, and testing to overshadow the importance of people. But the fact is, what we've come to think of as the "soft" aspects of education are actually what make truly effective learning possible. Building relationships, nurturing student and teacher talents, fostering engagement ... these are what motivate great teachers and inspire students. Indeed, if schools can learn anything from the business world, it's this: The "soft" stuff drives results. Corporate leaders have realized that the best way to improve productivity is to tap the talents and motivation of their human assets. This approach is even more critical in the classroom. An overemphasis on process reforms has set the education system at odds with both teachers and students. Too many students are lethargic or alienated; too many teachers have become disillusioned and cynical. We must find a way to bring public schools back to life, and to tap the enormous potential that exists in America's classrooms. Drawing on decades of Gallup research, Building Engaged Schools offers a fresh approach: Leverage student and teacher talent, on a school-by-school basis. Focusing on talent may lack the political appeal of process reforms, which can be implemented in broad strokes. This approach is surely more complex. But the return on the time and effort invested is far greater. In fact, that return is no less than a more fully engaged society, and a better future for America's children.